Sitting in the living room where I grew up [eating jam & bread], I am musing about the influences of my childhood and the bearing these had on me. 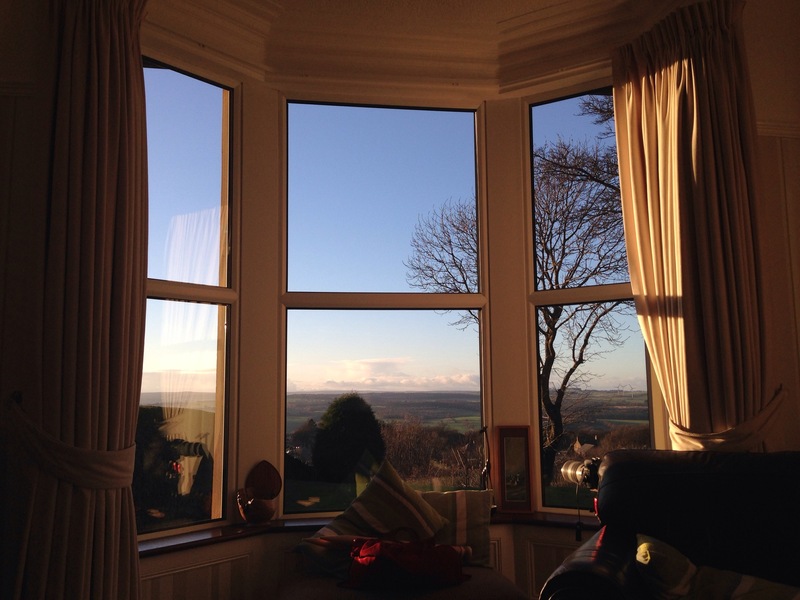 The view out of the bay window is expansive, looking over the Derwent Valley and onto the moors of the Pennine Hills. The thing that is most striking, to me, is just how much Sky there is in that view. From this vantage point I have tracked snow storms before school, been entrance by lightning in power cuts and tracked bats on warm summer breezes. The land and the house that I grew up in shaped my fascination with weather, and in particular, watching this ever changing landscape. Winter brought icicles that could be the length of my bedroom window as well as ample snow to play in. Summer meant walks in the fields & woods and swimming in the river just a short walk from home. Writing this makes it sound terribly idyllic, strange for a girl who grew up in an ex-mining / ex-steel working town. This industrial heritage is still written all over the land. From the Blue Heaps of shale that our home was built on, to the gigantic iron pouring pots and black slag that we would climb on for fun. What does this mean for me now? I suppose what I remember most is what fun I took from the land that was around me. That what is out there isn’t just for looking at [although that is good too] but that’s it’s for enjoying and being in. Go out. Get into it.